Ranas Pink Georgette Aari Tari Resham Salma Gota Patti Work Rajputi Poshak Get ready to look sweet in pretty pink colored georgette Rajputi Poshak. Match it with the apposite adorable jewelry and ready to smash the crowd with your stylish Rajasthani Rajputi Poshak. Shop Rajputi Poshak online in Jaipur from the most prominent Rajputi Poshak boutique- Ranas. Here, you will explore the impeccable range of Indian designer sarees online comprising of printed sarees, lehenga sarees, Bollywood sarees, Gota Patti sarees, etc. Choose the fabric and the color of your choice and buy designer sarees for wedding. 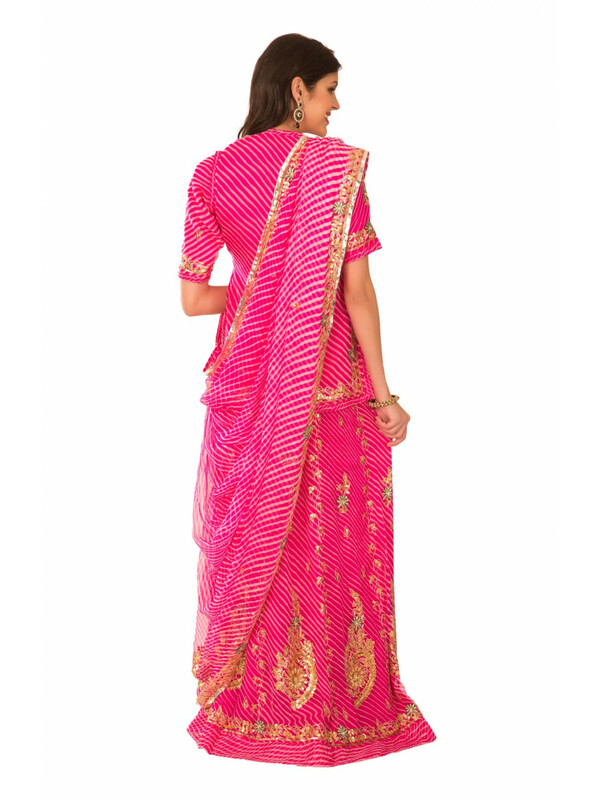 So, initiate the process of designer saree online shopping now.